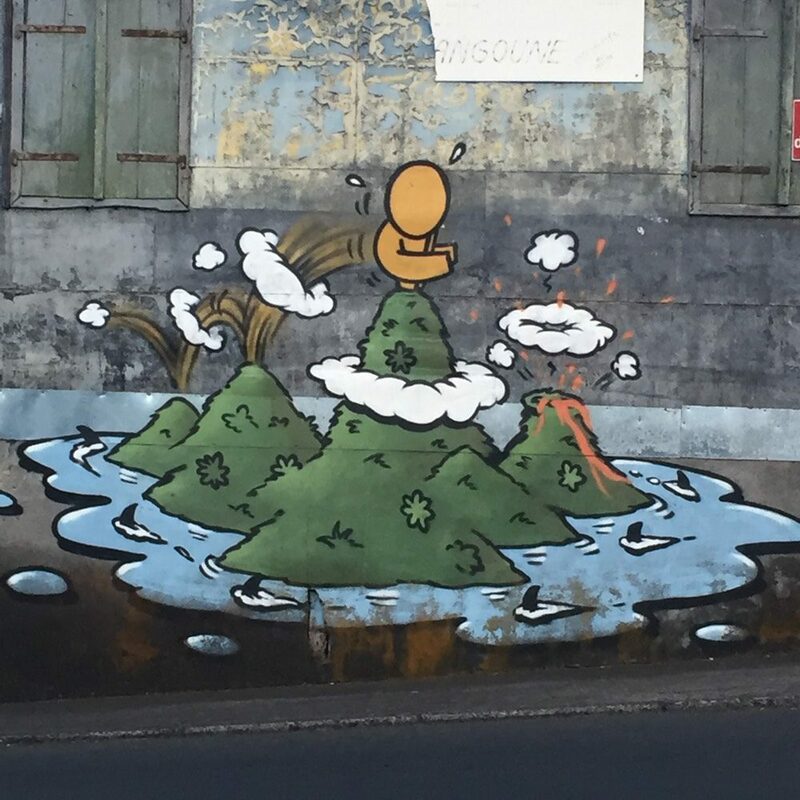 As usual on the west coast of Réunion Island, the weather is nice and hot. Friday December 11th, 2015, makes no exception. It’s a special day nonetheless. 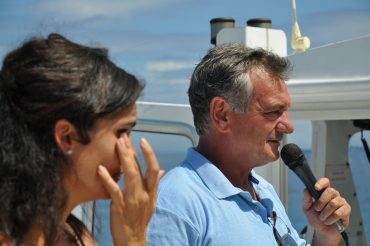 Reporters from local newspapers have all gathered on the glass-bottom boat Le Grand Bleu for the inauguration of the brand new anti-shark netting system in Boucan Canot. Patrick Flores picks the microphone up to address the attentive crowd: “We are the witnesses of a historical moment. Today, we continue a legacy of marine activities that started more than 40 years ago on our island.” Patrick Flores is a known and respected member of the community. He grew up in Boucan Canot and is the father of Jeremy’s Flores, France’s number one surfer. He was lately elected as assistant mayor of Saint-Paul, but keeps his role as a coach for France’s surfing team. Patrick Flores worked hard for many months to safely put people back in the waters of Réunion Island. His idea is very effective: a state-of-the-art, custom-built, non-trapping mesh that secures 84’000 square meters of salt water. Boucan Canot now has a surfing and swimming zone the size of 67 Olympic pools, guaranteed shark-free. Tourists and islanders can finally enjoy the waves once again. It’s an emotional moment. “My thoughts go to the victim’s families, says Patrick Flores into the microphone. I feel extremely happy to see this project come to life today, but it’s hard not to think about the people that we lost along the way. Before I’m not able to speak anymore, I officially declare the marine activities open!” he exclaims at 10.15 am precisely. His speech is followed by the deep sound of the boat’s horn. 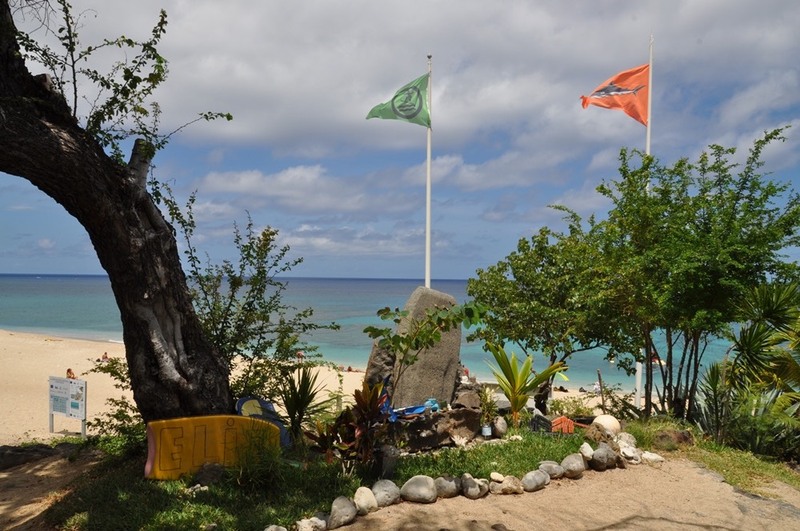 On the beach, the lifesavers answer the call by raising up the very first green surfing flag, signaling that people can safely enjoy the sea once again. 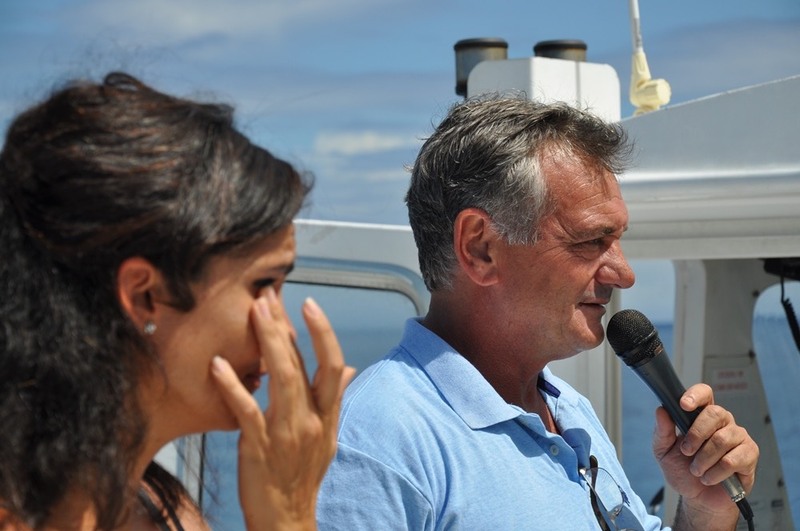 This speech and green flag represents a breath of fresh air for Réunion islanders, who for many months were purely and simply deprived of the beautiful ocean on their doorstep. Apart from the two lagoons that are cut off from the open sea by a barrier reef, and are thus considered a naturally safe swimming zone, bathing and surfing on the other beaches is strictly forbidden to this day. 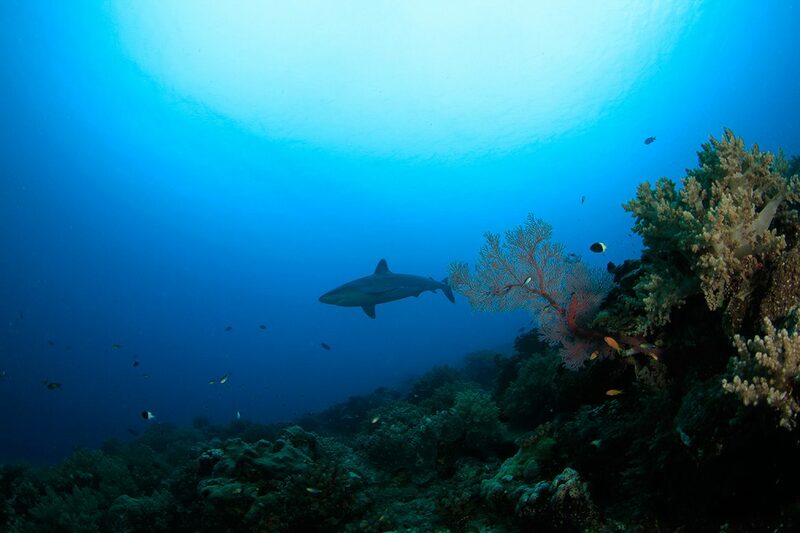 On July 26th, 2013, after seven shark attacks of which five were fatal in 21 months, all marine activities were banned by the prefectorial order n° 1390. Although presented as temporary, the order has been extended each and every year. The next revision is planned for February 2017. 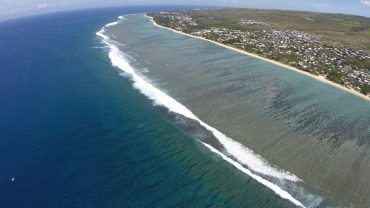 “Bumpings” and sightings were regular on the west coast of Réunion Island, but bites were so rare that dedicated shops and surf schools started mushrooming in the beach towns. The sport became part of the local culture, and kids started practicing at a very young age, coached by parents and professionals. 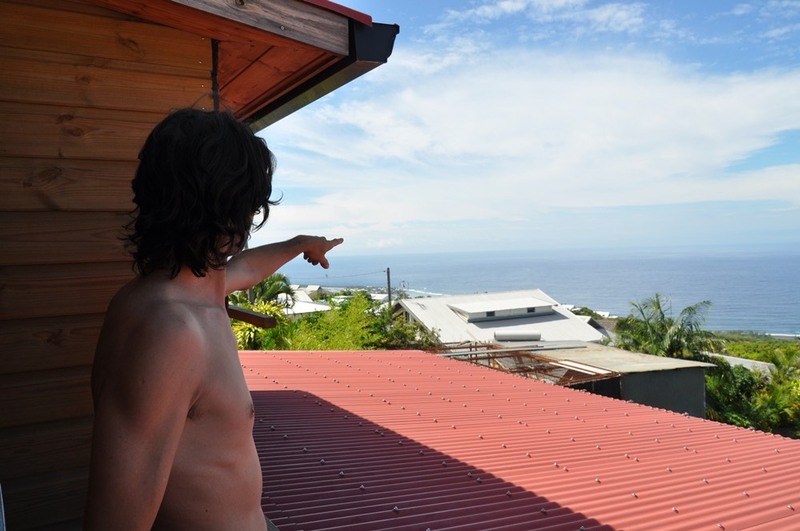 Fantastic potentials were discovered, and today the best-ranked French surfer, Jeremy Flores, is from Réunion Island. In June 2016, Johanne Defay won the world tour stop in Fiji, in a wave quite similar to the Left of Saint-Leu. The shore break of Étang-Salé is where she stood up on a board for the first time. Amaurhy Laverne who is famous for his two bodyboard world titles practiced his art in the waves of “Zoreil-Land” since a young age. All things considered, the island deserved its original nickname of “Small French Hawaii”. When the swell was pumping and waves were breaking along Réunion’s coast, all this thriving community would grab their boards and paddle out. But when the ocean would go flat for days or weeks, people still got wet. “The majority of surfers are also outstanding swimmers, fishermen and spear fishermen, says Vincent Zerbone. Their daily lives were spent in and around the ocean, like so many others around the world. These guys that were in the water all day every day started noticing subtle changes.” With their mask, tuba, flippers and spear guns, they saw a worrying shift in the ecology. Between 2005 and 2010, the spear fishermen began noticing bull sharks on a regular basis, in a territory usually occupied by reef sharks. In 2008, Saint-Paul’s lifesavers even wrote to the public authorities to express how worried they were after observing a growing number of large predators in the popular bathing areas. Nothing was done, to prevent “fueling the psychosis”. 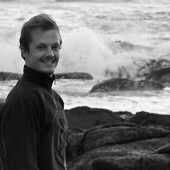 In his book “Requins à la Réunion, une tragédie moderne” (Sharks in Réunion, a modern tragedy), the author Jean-François Nativel, surfer and spear fisherman from Saint-Paul, explains his role as a whistle-blower. He details all of his encounters with what he believes to be the same bull shark. In the beginning of 2011, the animal went from shy to inquisitive in a matter of months. Then, as if to validate all the worrying signs of the past years, the first accident took place on Saturday February 19th, 2011. In front of the popular beach of Roches Noires in Saint-Gilles, in crystal clear waters, Eric Dargent was attacked. The surfer from mainland France was visiting friends on the island. The bull shark tore his left leg off at around 6 pm. Despite such a dreadful injury, he survived, and he even found the strength to start surfing again many months later with a state-of-the-art prosthesis that he helped develop. After this first attack, the risk became unacceptable for Jean-François Nativel, who had surfed three days earlier with his kids only 200 meters from the spot where Dargent was attacked. Along with some friends and professional fishermen, they decided to hunt down the dangerous animal. Late at night and after many long hours, they came back to port with a large dead bull shark. Journalists and photographs were present to take pictures, and the next day, the newspaper’s headline read “The shark of Roches Noires captured”. The unilateral action, first widely praised and later criticized, sparked a moderate controversy. The professional fisherman ended up being prosecuted and sentenced to pay a symbolic fine. Weeks ended up passing by, and the initial shock of Dargent’s accident as well as the culling’s controversy slowly faded away. But on the 15th of June, the horror made a brutal comeback in paradise. Boucan Canot, Patrick Flores’ home beach, is badly hit. “This is the beach where I grew up and spent all of my time, he tells me, and I just couldn’t believe a shark attack could happen there, let alone a fatal one. 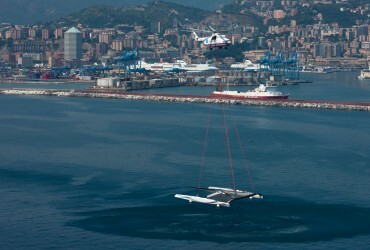 It was plainly inconceivable until Eddy Aubert was killed in June 2011.” The weather had been bad for days, and the rain had steadily transformed the water in a brown soup. It was getting close to sunset when the accident took place. The 31-year-old surfer didn’t stand a chance, as the autopsy revealed several violent injuries. He was already dead when the waves dropped his body on the sand. The whole island woke up in a state of shock, but the surfer’s responsibility was overwhelming. Shark attacks are known to happen more often in murky waters, and at dusk. Aubert’s accident was blamed on his recklessness. The whistle-blowers’ warnings were all lost in the speeches aimed at minimizing the incident. Three weeks later, nothing was said or done when a kid saw his bodyboard cut in half by a bull shark, in the middle of the day, in crystal clear waters of Roches Noires beach. He swam back to shore without a scratch. Others won’t have his luck. 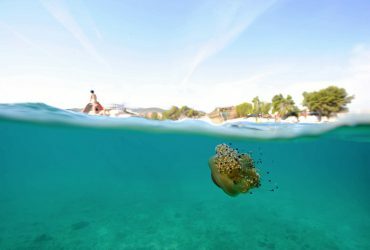 Are we being invaded by swarms of stinging jellyfish? All around the world, worrying stories are circulating. While some specialists try to answer this difficult question, other scientists make incredible medical discoveries. Along this investigation, OCEAN71 Magazine realized they are much more than just stinging gelatinous creatures. Their unique abilities offer many opportunities for all of mankind. In the last 10 years, piracy has made a come back. 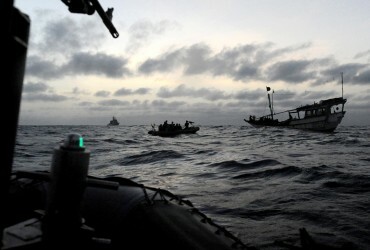 From Somalia and Nigeria to the Caribbean and far-flung Asian archipelagos men are capitalising on weak leadership of the State to seize commercial ships and private yachts for ransom. We decided to investigate the reasons for this resurgence and discovered a world and practices that are witnessed by the ocean alone.